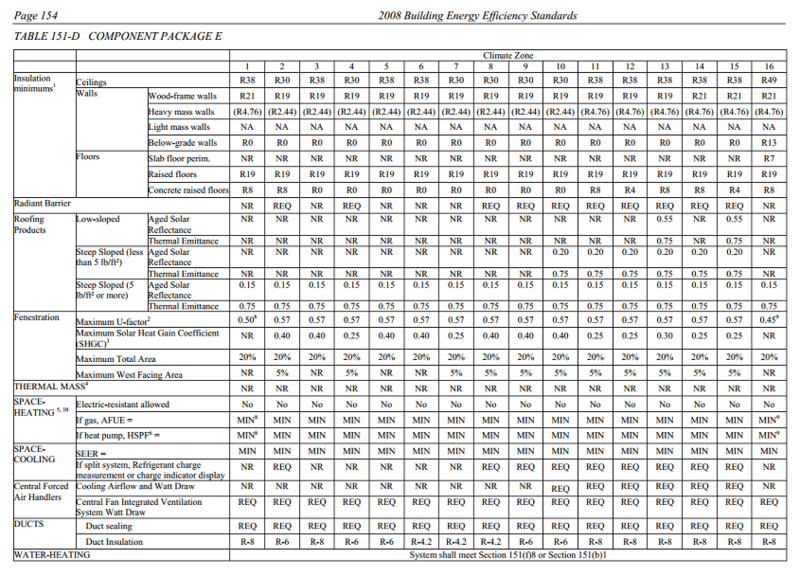 In the old 2005 Title-24 energy code a residential cool roof was an optional energy efficiency measure. As of January 1, 2010 Title 24 Cool Roofs are required for most residential buildings in most of California’s 16 climate zones. Cool roof standards are designed to reduce air conditioner and other forms of hi energy use temperature control devices demand on energy usage. In order to determine how the requirements affect you, we’ve put together an easy five-step process to determine your specific needs. The American Taxpayer Relief Act of 2012 has been extended to December 31, 2013. The bill extends the IRS Section 25c tax credit for energy efficient retrofits to existing homes. The tax credit for installed insulation materials meeting 2006 IECC requirements will be 10% of the material cost up to $500. To qualify, improvements must be installed in an existing home and your principal residence. New construction and rentals do not qualify. Tax credit does not include installation costs. Here’s how to determine your requirements. The video below explains how to find the slope of your roof. Note: As a rule, lighter weight roofing material like asphalt shingles have a lower cool roof requirements than heavier roofing products like cement or tile roofing. Step Three: Determine your climate zone in California. Now look across the top row to find your climate zone for your home. Next look down along the left hand column until you come to “Roofing Products”. There you will select your roofing slope type and roofing weight per sq. ft.
Then move to the right in the table until you see the Cool Roof requirements for your zone. Whatever roofing product you select must meet these numbers and be certified by the Cool Roof Rating Council, (CRRC). Note: Cool Roof products sold in California that are Energy Star Certified do not automatically qualify the product as a CRRC certified product. See quailifed CRRC product list here. The CF-6R installation certificate is completed during the construction phase of the compliance and enforcement process. The CF-6R is really several documents in one. The documents are completed by the contractors responsible for installing the windows, the HVAC equipment and ducts, the insulation, and the lighting systems. The CF-6R is signed by various installers. HVAC systems. The contractor who installs mechanical equipment signs this part. Heating and cooling equipment are listed and the energy efficiency, capacity, design loads and other properties of each piece of equipment is documented. Water Heating Systems. This part includes information about the water heating equipment installed in the building, including model number, energy efficiency, tank size, input rating and other properties. The installer also verifies that faucets and shower heads are certified and comply with the appliance standards. Fenestration/Glazing. This part includes a list of all windows installed in the home. For each, the U-factor, SHGC, area, number of panes, and number of windows of this type in the building are indicated. This section is signed by the contractor that installs the windows. Duct location and Area Reduction Diagnostics. This part is completed and signed by the contractor who installs the HVAC ducts. It verifies the location of the ducts and/or includes information on duct location. This form is used only when the default duct area is not assumed. Insulation Certificate. This part is completed and signed by the contractor responsible for installing the insulation. This indicates the manufacturer, brand, and thermal properties of the insulation installed in the roof, ceiling, walls and floor. 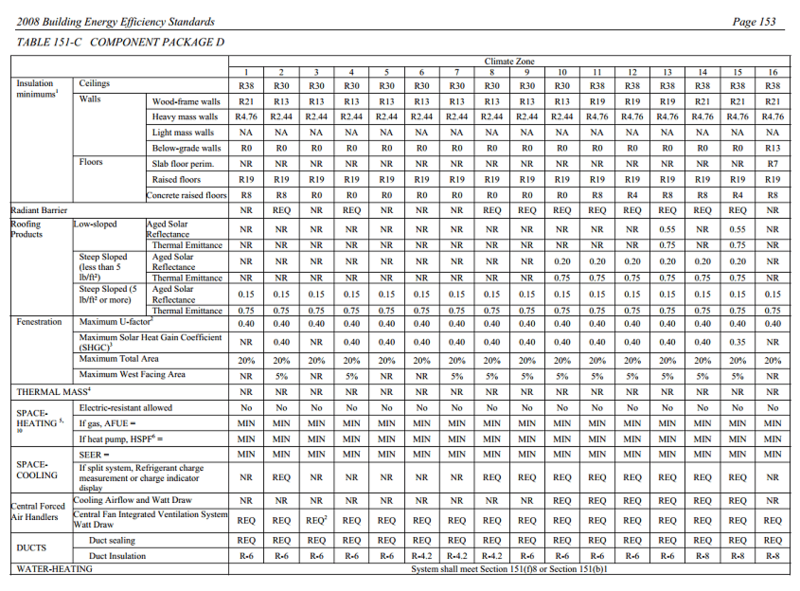 Insulation Quality Checklist. This part is completed and signed by the insulation contractor when credit is taken for quality insulation installation. This is later verified by a third-party inspector (HERS rater). Lighting Systems. This part is completed and signed by the contractor responsible for installing hard-wired lighting systems. Persons signing these CF-6R forms are verifying that the installed efficiencies or requirements meet or exceed those used for compliance with the standards as shown on the CF-1R. The CF-6R must be posted at the job site in a conspicuous location (e.g., in the garage) or kept with the building permit and made available to the enforcement agency upon request. When field verification and/or diagnostic testing is required for a home, the builder shall provide a copy of the CF-6R to the HERS provider/rater and to the building department upon request. Information from the CF-6R is included with the homeowners manual. This provides the homeowner with information about energy efficiency features installed in their home.